This is absolutely beautiful! I hope to see the finished product! Lovely! 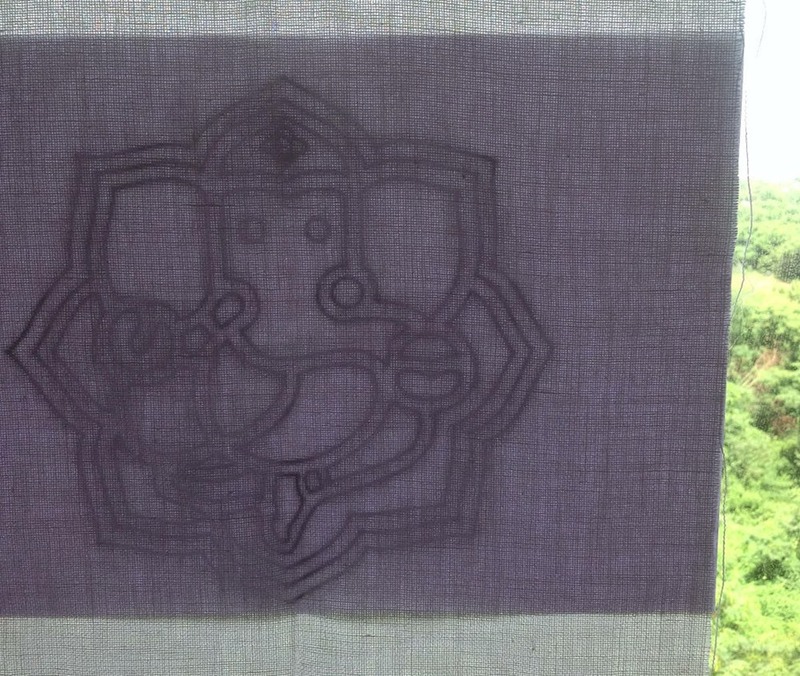 I hope Lord Ganesh is suitably pleased. 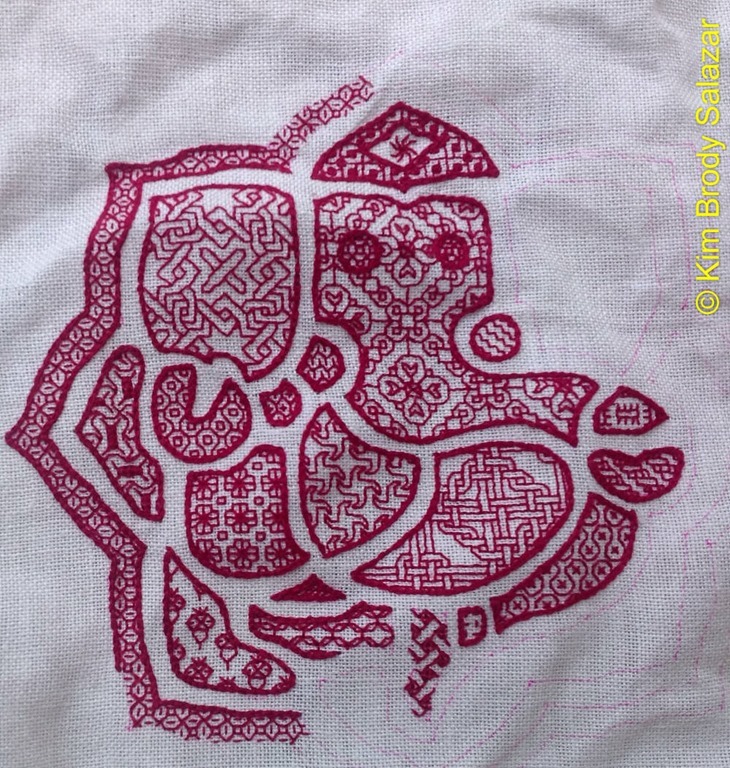 How do you keep your lines so clean and sharp in the fillings when you are using 2 strands at 18 stitches per inch? I’m just a beginner and I struggle to have clean lines with 2 strands in double running stitch at 14 stitches per inch. So far I haven’t tried more than one strand for fillings. One thing that helps is not to use a sharp pointed needle. This is a bit counter-intuitive, because one would think that piercing the threads in double running would make neater lines. But it doesn’t. I use either tapestry blunts, or for one or two strands of floss – a ball point needle made for hand-sewing on knit/jersey type fabric. Blunt needles push the threads and the weave aside rather than split and fray them. That helps. Thanks, Kim. I went out and bought some ball-point needles and they do make the stitching easier! Now to practise, practise. One more hint – although others can do counted work without a frame, I find a really taught tambour or flat frame really helps. Think drum skin tight. Plastic hoops and q-snap style frames aren’t enough for me. I recommend a good wooden hoop, padded with twill tape, or a flat frame slate style laced on all sides. My Millennium roller frame works nicely though even without side lacing.